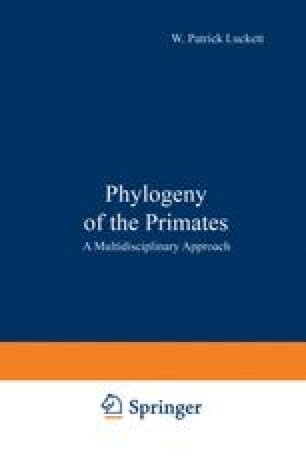 Periodically it is worthwhile to assess our knowledge and understanding of mammalian phylogeny and one of its expressions, classification. This short paper is yet another attempt to do so, taking into account the results of recently published paleontological research and drawing heavily on work in progress by many researchers in many fields and in various parts of the world. Concepts of mammalian phylogeny and classification have changed markedly during the last few years. A good many of the ideas expressed here are frankly speculative, but they are presented anyway in order to determine how well they will stand scrutiny, especially by nonpaleontologists. A few years ago I prepared a paper with a similar aim (McKenna, 1969), but that paper is now outdated. In the present offering I attempt to update certain aspects of my previous review by taking into account research published since 1969, as well as work being incorporated into a new classification of the Mammalia now being prepared which wall deal with all taxonomic levels down to the subgeneric level in essentially the same style as Simpson’s (1945) classification.